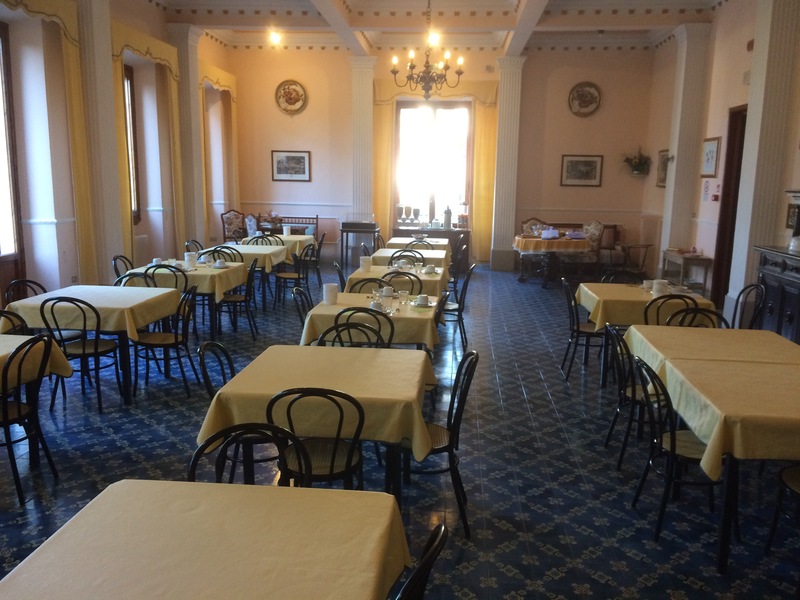 The hotel breakfast didn’t start til 8am and given I’d bought a train ticket to return to Bologna for 2.30pm and I’d calculated a 4 and a half hour walk, I got down to the breakfast room dead on 8 to jostle with the other guests . There were some family photos and paintings and the lady running the place told me that the hotel had been the house of her husband’s family. 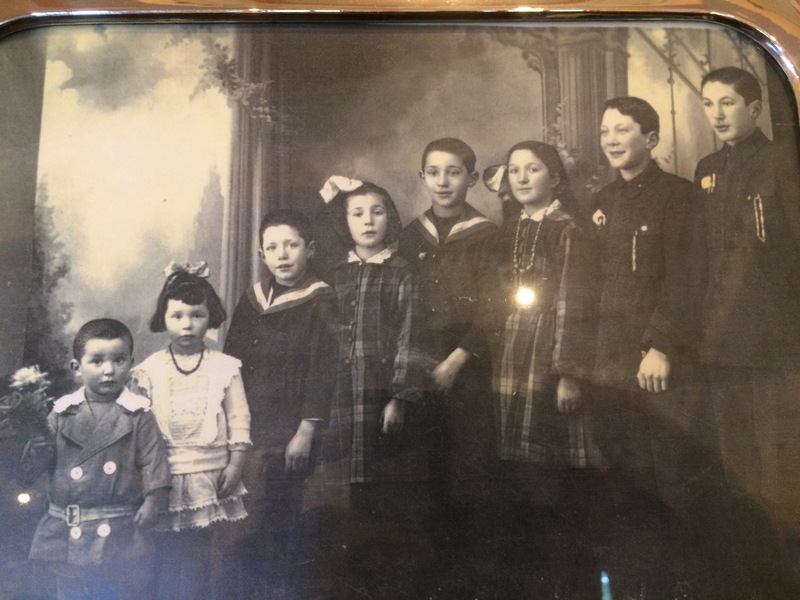 The little boy in the photo, taken in 1914, was her father-in-law. Once again I was climbing, the walk has been quite strenuous . 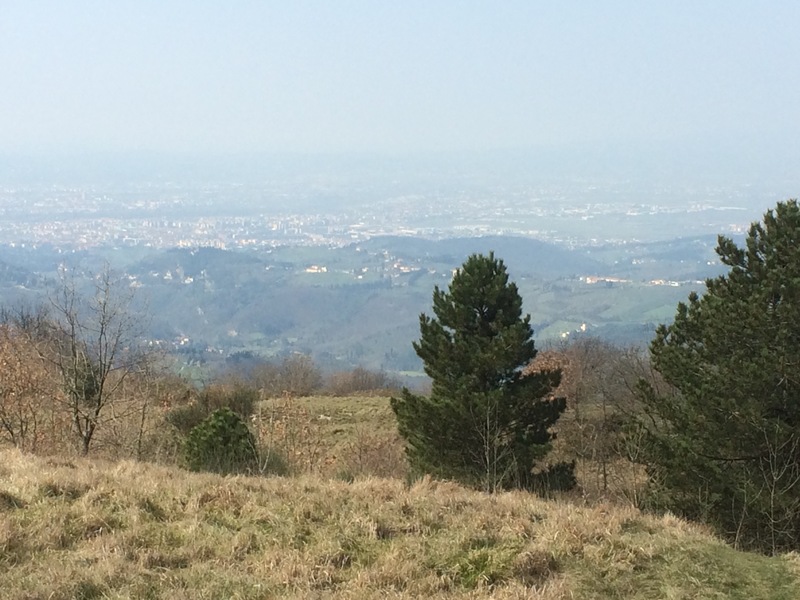 After an hour or so, I reached Poggio Pratone. This is a wide open field at 709m altitude. It’s believed to be the site of a large scale battle in the year 405. A horde of around 100,000 Ostrogoths, including probably 20,000 combatants and lead by a certain Radagaisus, were besieging Fiesole. Their intent was to burn Rome to the ground and sacrifice the Senators to the gods. It took many months for the empire to respond , recalling troops from the Rhine. However in the battle that ensued,the Goths were decimated and so many prisoners were taken, that there was a collapse in the slave market. The guide books talk about the view of Florence from here, but I could barely see the city through the haze. Up and over the fence ! 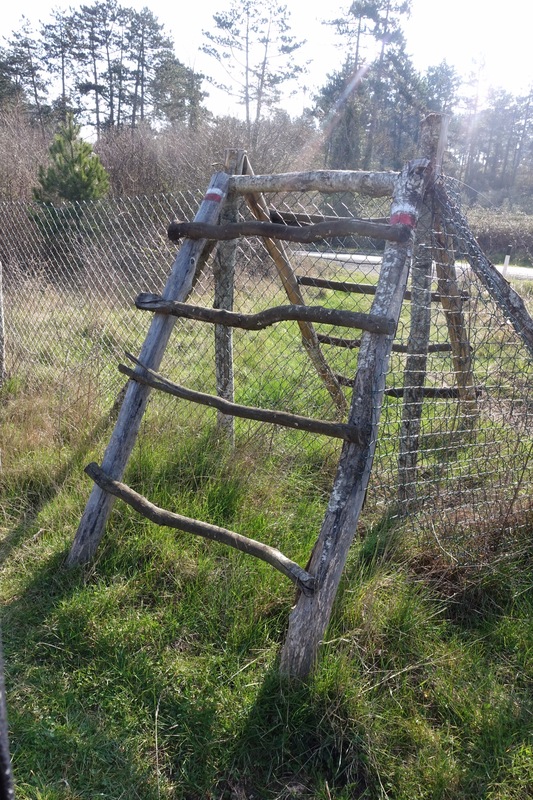 I had one more steep climb before I reached another vantage point. Florence is down there somewhere ! 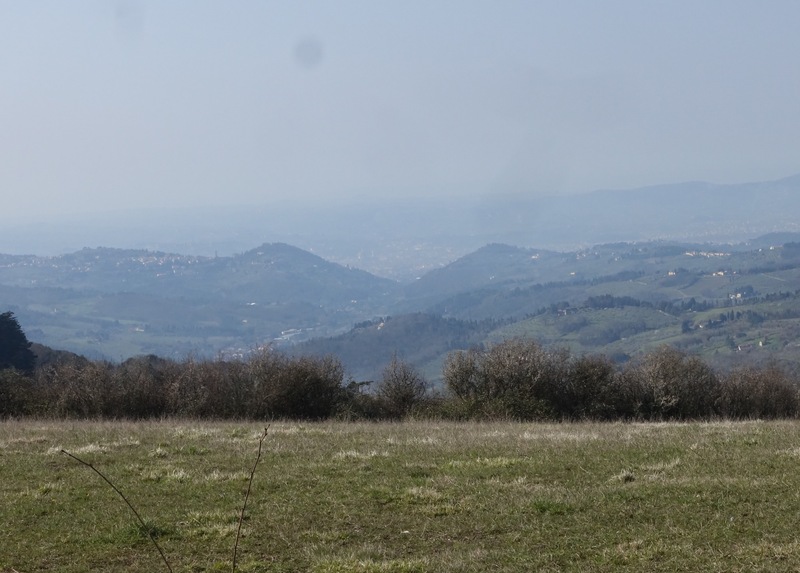 I was supposed to have one more climb through the hills on a track starting in Fiesole and then a descent into Florence. 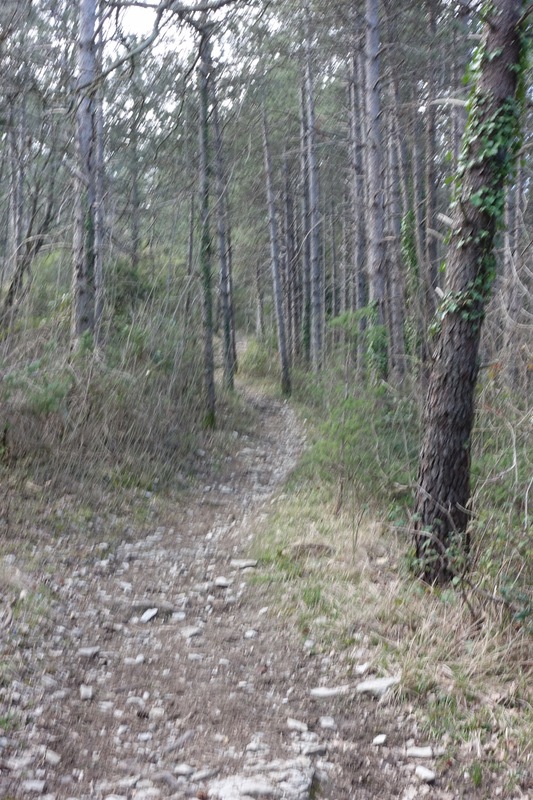 However, I had trouble finding this pathway. 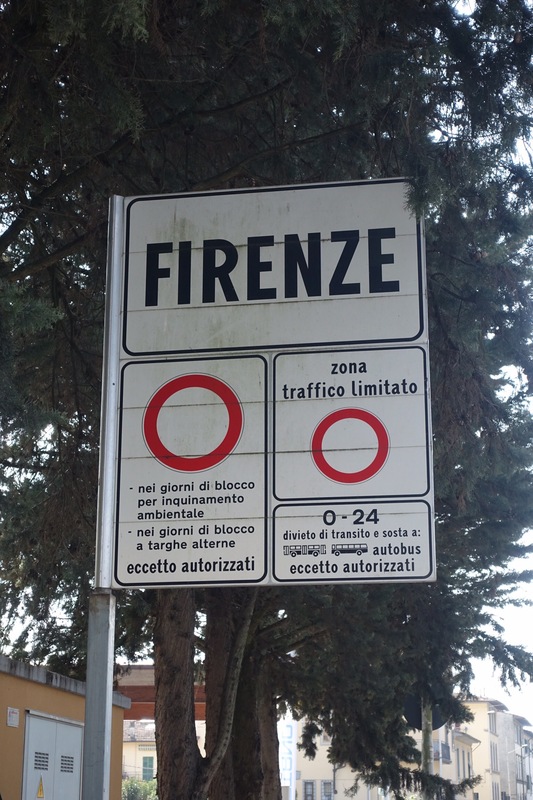 In fact I had trouble finding Fiesole! Somewhere in the hills I took the wrong path and ended up miles away to the west . 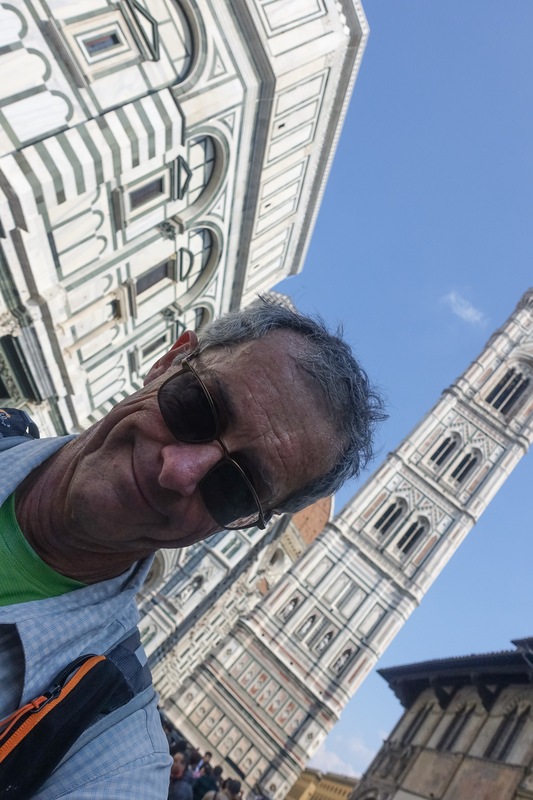 I ended up having to do an extra hour’s walking along a busy, windy and narrow road before I eventually reached the outskirts of Florence. My 16 km day ended up stretching to 27 km! I had another hour of walking through the suburbs before finally reaching the centre of town. It was very busy, with long queues to get into all the popular attractions . I made it to the train station with a half hour to spare. After almost 5 days of walking to get here, it took just 35 minutes in the train to return ! I pitied the poor Chinese tourist who had to sit next to me as I was pretty smelly. He seemed pretty intent on his computer game, maybe this was to take his mind off the smell! I actually found this quite a challenging walk. Perhaps I wasn’t as fit as I should have been but there was a lot of climbing and descending, much of it through thick mud and slippery surfaces . 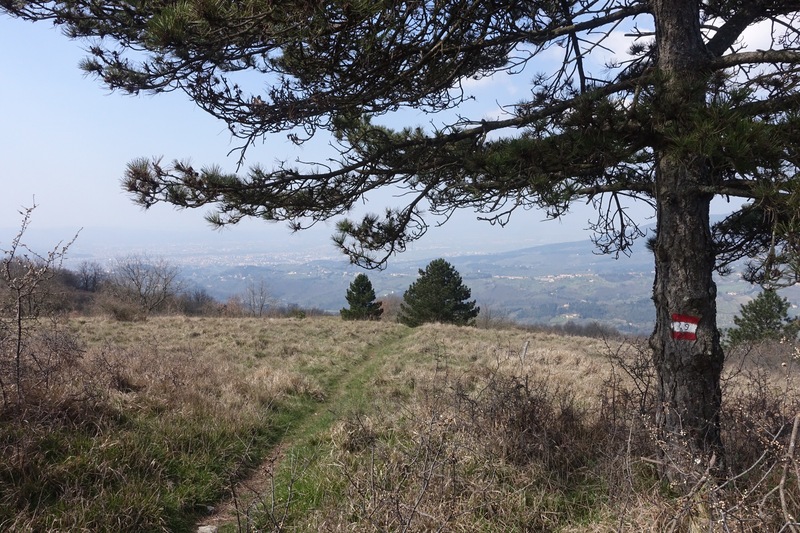 The most challenging was coming down Monte Gazzaro where the path was very steep with slippery rocks and a very steep drop off the side of the track. Luckily along the most difficult 200m or so a steel rope has been placed. I wrapped a hanky around my hand and hung on to the rope as best I could. I found out later talking to other walkers ( the only two I got to chat to)there was a sign that meant that the path was of higher difficulty and I could have taken an alternative! Here’s the stats – 134km, 5,068m ascending and 5,013m descending over 4 1/2 days. My only injury was due to accidentally kicking a small tree stump. A toe started loosing its nail making descending paths a bit painful. Paul – great description of a great walk. Well done! 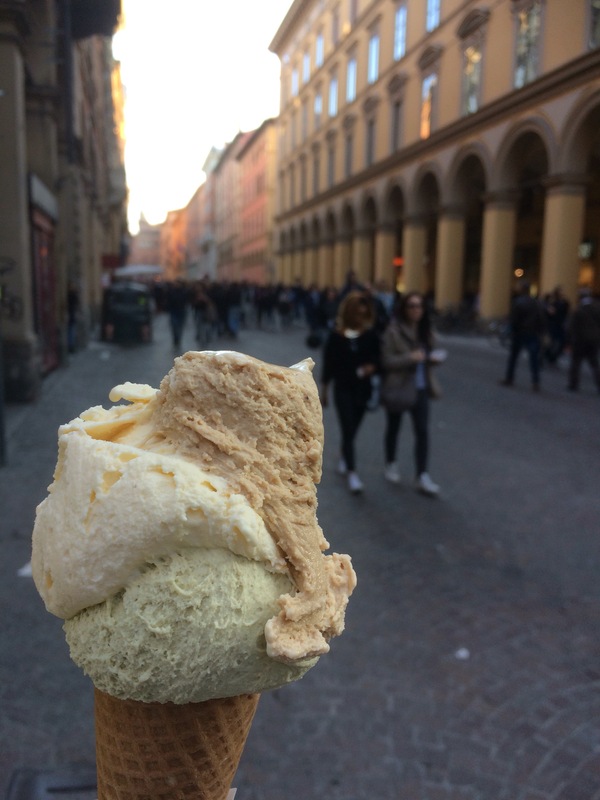 What’s next – Firenze to Arezzo then Cortona, maybe? Paul, it seems an incredibly steep walk. If you walked 134 kms, then about a third would be up hill, a third down hill and a third flat – based on the law of averages – so 44.67 kms up-hill. Based on 5068 metres of assent, my maths works this out as over 11% average gradient for the uphill parts. That’s pretty tough going in anyone’s figuring. Hope you had more than a beer and a gelati to help you recover! 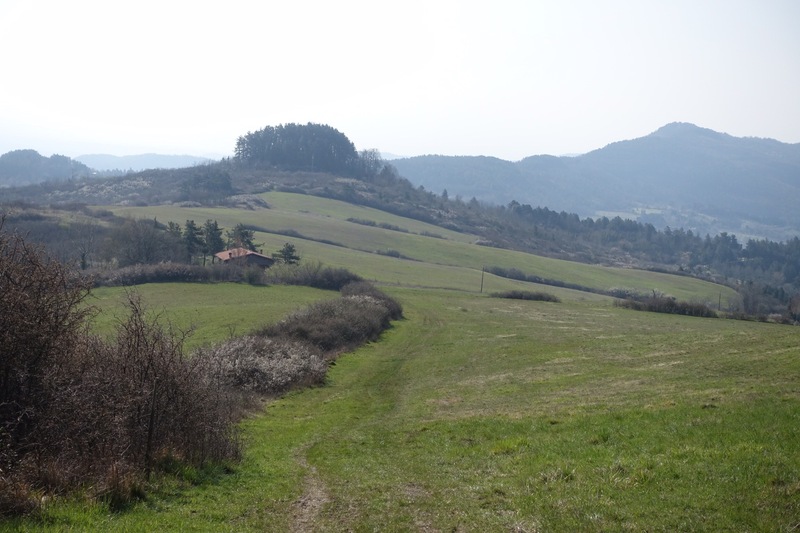 Your intended camino from Seville to SdC looks like the ultimate walk. It over 1000 kms long and takes over a month of walking every day – are you that serious? I had a pipe dream (once) to ride the Pyrenees from the Atlantic to the Mediterranean over all the major cols. Fortunately my injury put paid to that. Care to have a ‘slow-you-down’ injury some time, as well? I’m reading this in 2018 as I think about doing the walk this May. We have four days and we’re not as fit as you. 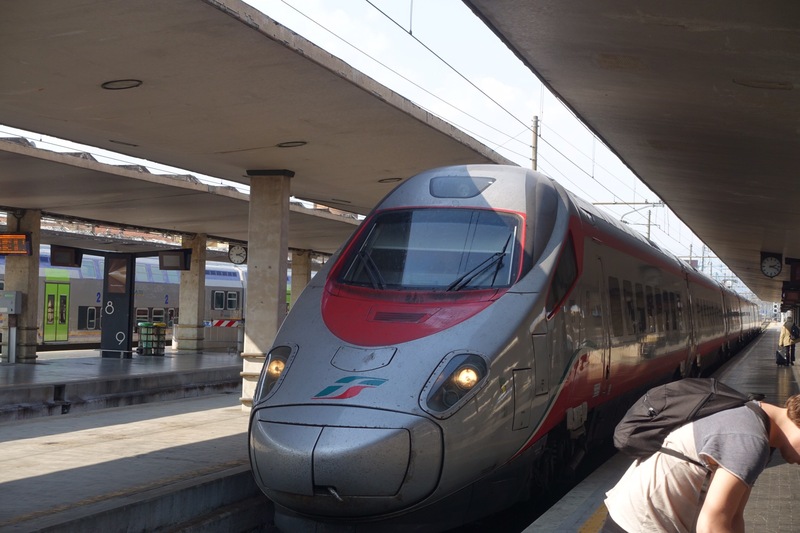 Is there some point where you could get on a train back to bologna, after 4 days’ walking, and still have seen much of the trail? May would be a very pleasant month for this walk. The local train line runs a bit to the west of this track but I think you could probably either get a bus to a town on the railway line or a bus back to Bologna. 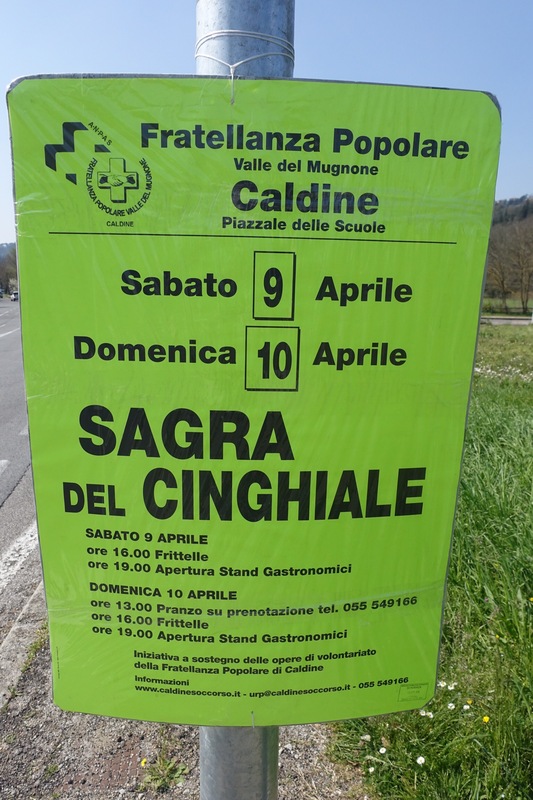 You could also look at some other options such as shortening the walk by either getting a train down to Sasso Marconi and starting from there and/or getting a bus from Fiesole to Florence. 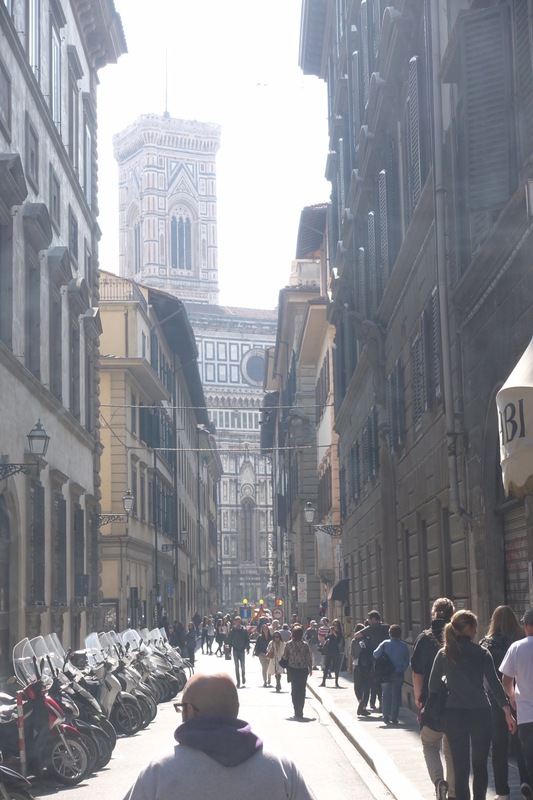 The walk through the suburbs of Florence is not very nice and it’s easy to get lost. Also as I recall it there are some alternative parts of the walk where you can go around rather than over some of the peaks.